A friend was discussing the IRF510 with the homebrew group. "Any friend with Bitx linear original version success build are most welcome... 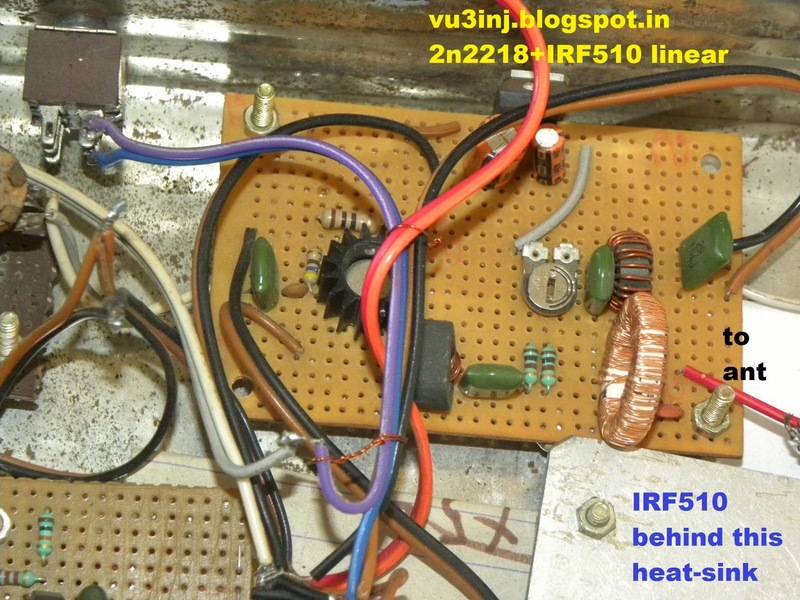 I completed linear of bitx20 last day and found that the Transformer T1 at the drain of IRF510 getting very Hot just after switching the linear ON... core i used is FT37-43 with 2 turns bifiler my current bias is 50mA @ 19V DC.. any suggestions are most welcome..."
Well I had made the first version linear by the VU2ESE. He sent his linears foto. (thanks friend) I feel it is not is not the first, version but the version 3. Important difference between the version1 and version3 are the linear amplifier. In the first version 2ESE has tried the plastic former and balun core. Now a days foreign hams / Indian hams use the TOROIDs which comes along with KIT. During my quest with taming the linear ,VU2ESE had hinted me of using the tap washer reason it was not possible to find the suitable toroids/balun cores.... I gave it (tap washer) a try and it worked.... thanks Farhan.. 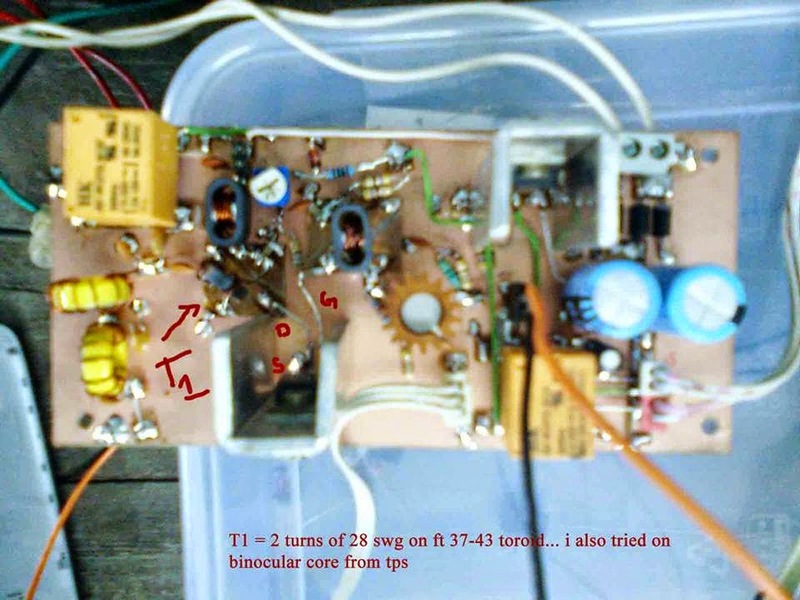 The tapwashers many turns absorbs the capacitance of the FET. Which makes it more efficient... 2ESE has always multiple use for a part. the top view of the linear. Most probably his FET oscillated and gone QRT. There is no way to test it. Just replace the FET. make the Leads short and It should work. First try with 12v DC unregulated. with 1 amp fuse. 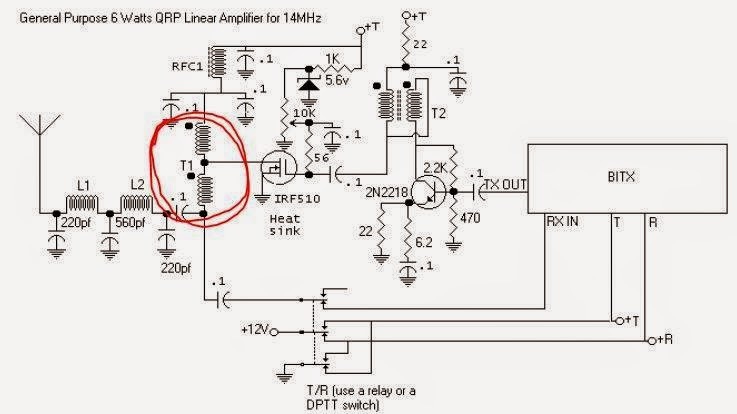 That way can save the power supply and LM317 voltage regulator.